Rarely do educational entities come into existence through the decree of international organizations, but such is the case with the University for Peace, which is officially located in San Jose, Costa Rica. Dedicated to higher education in peace and conflict studies, this very unique educational institution came about on December 14, 1979 through resolution 34/111 of the United Nations General Assembly, which mandated the formation of an international commission charged with completing the preliminary foundational steps. 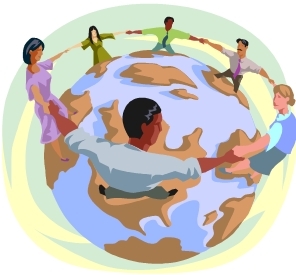 Almost one year later on December 5, 1980, the charter for the school occurred as a result of an official peace treaty also initiated by the UN. The selection of Costa Rica as the host nation for the university is primarily due to its status as the “Switzerland of Latin America,” since like that famous European country it has no standing military, despite geographic proximity to other battle-ready countries such as Nicaragua. Costa Rican President José Figueres Ferrer, who came to power through a military insurrection that lasted 44 days and took the lives of 2000 citizens, abolished the country’s military on December 1, 1948 and initiated a new constitution that codified that decision in 1949. The budget for the armed services was then diverted to the “internal security” goals of education, environmental protection, and the preservation of Costa Rican culture. As a consequence of this commitment to disarmament and peace, Costa Rica is not only the host of the University for Peace, but also serves as the home for the Inter-American Court of Human Rights, which is also based in the City of San Jose. 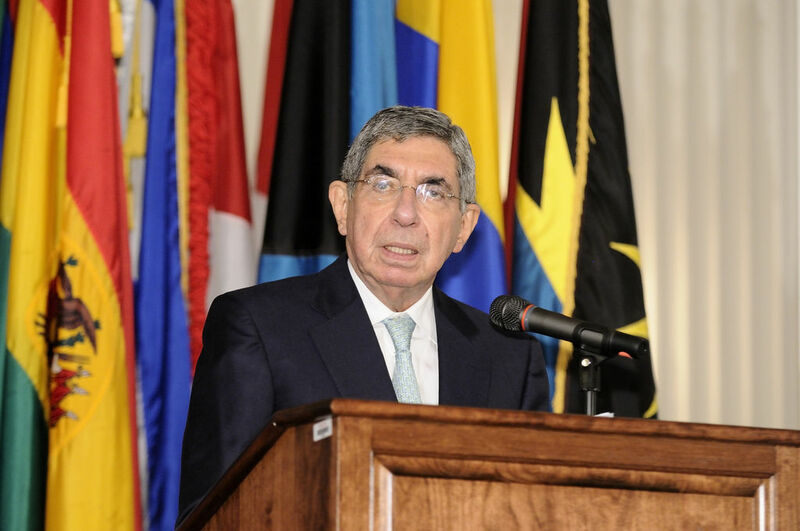 Oscar Arias, who has twice been the President of Costa Rica, received the Nobel Peace Prize in 1987 for his efforts in ending civil wars raging in other Central American countries during the 1980s. Geographically speaking, the University for Peace is situated about 20 miles west of San Jose, in the midst of mountainous terrain that includes some of the most gorgeous and pristine forests available for view in Central America. Considered to be a place for “serious dreamers,” the campus sits on 741 acres of land donated by the Costa Rican government, but the actual building is rather small for a university. Approximately 160 students from around the world are dedicated to a program of studies in world amity and conflict resolution, which is a fact symbolized very heavily in the student union building, where the word “peace” is inscribed in every language of the world. A rolling peace garden, laying in plain view of the rector’s office, features artistic busts of famous campaigners for world harmony, such as Gandhi, Eleanor Roosevelt, and Henry Dunant. In similar fashion, the campus also includes an area known as Monument Park, which is home to the world’s largest memorial dedicated to peace. Dubbed the Monument to Disarmament, Work & Peace, it is a majestic work of art that can be viewed as part of a tour that is available Monday through Friday, from 8:00am to 3:00pm. The University for Peace has also announced a new doctoral program with a broad range of research options, through which candidates are “prepared for university teaching, research, or advanced positions in Peace and Conflict Studies-related professional fields.” The underlying goal of the doctoral curriculum is to promote research studies for the purpose of professional careers in peace, rather than academic. UPEACE alumni live and work in all corners of the world, for the most part in their home countries or with international organizations that are frequently active on the front lines of major conflict. 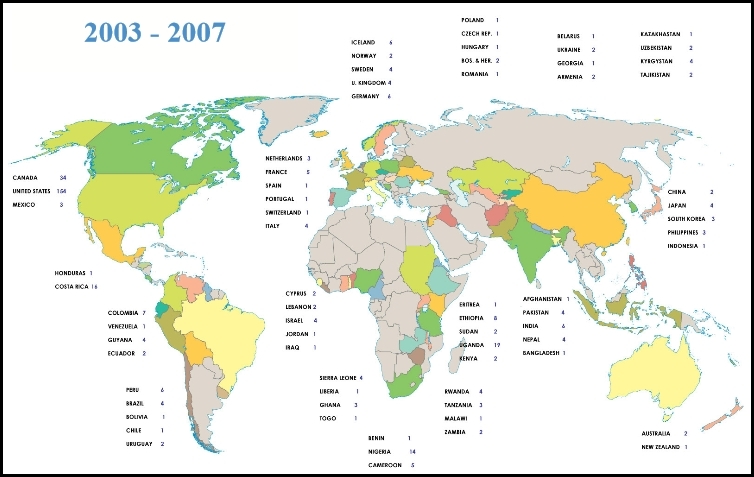 The largest percentage of the graduates is employed by non-governmental entities, but a significant portion also goes on to work within the United Nations system or with other humanitarian organizations that are closely allied with the mission of the UN. As of the year 2007, 24% of the graduates worked with non-governmental organizations, 19% in academia, 18% with UN bodies, 14% with a particular national government, 11% in the private sector, and 16% otherwise. Some of the noteworthy places where you will find them are the International Criminal Court of The Hague, the Organization for Security and Co-operation in Europe (located in Belgium), the Freedom House of Hungary, and the World Bank of Washington DC. The University for Peace proclaims an overall mission of “promoting among all human beings the spirit of understanding, tolerance and peaceful coexistence, to stimulate cooperation among peoples and to help lessen obstacles and threats to world peace and progress, in keeping with the noble aspirations proclaimed in the Charter of the United Nations.” There is no doubt that terrorism is a result of misunderstanding, intolerance of differences in culture and religion, negative social and political trends, perceived injustices in economic opportunity, and an overriding sense of fear and the lack of open-mindedness. Critics point out that military intervention might be a short term answer to eliminating terrorist activity, but in the long run it only breeds more recruits to terrorist cells. Preventive efforts that are evident in the goals of UPEACE are crucial to the long term elimination of transnational radical violence, otherwise referred to as terrorism. In the same manner that we prescribe to military academies that enable the means of waging war, we must also facilitate the means of waging peace through institutions of equal importance. We praise the efforts of UPEACE and urge you to sign the petition to which this website is dedicated. This entry was posted in Posts for the Cause and tagged Architecture, Central America, Costa Rica, human-rights, Inter-American Court of Human Rights, monuments to the fallen, monuments to victims of terrorism, Nobel Peace Prize, peace, Peace and conflict studies, terrorism, terroristic violence, United Nations General Assembly, University for Peace. Bookmark the permalink.